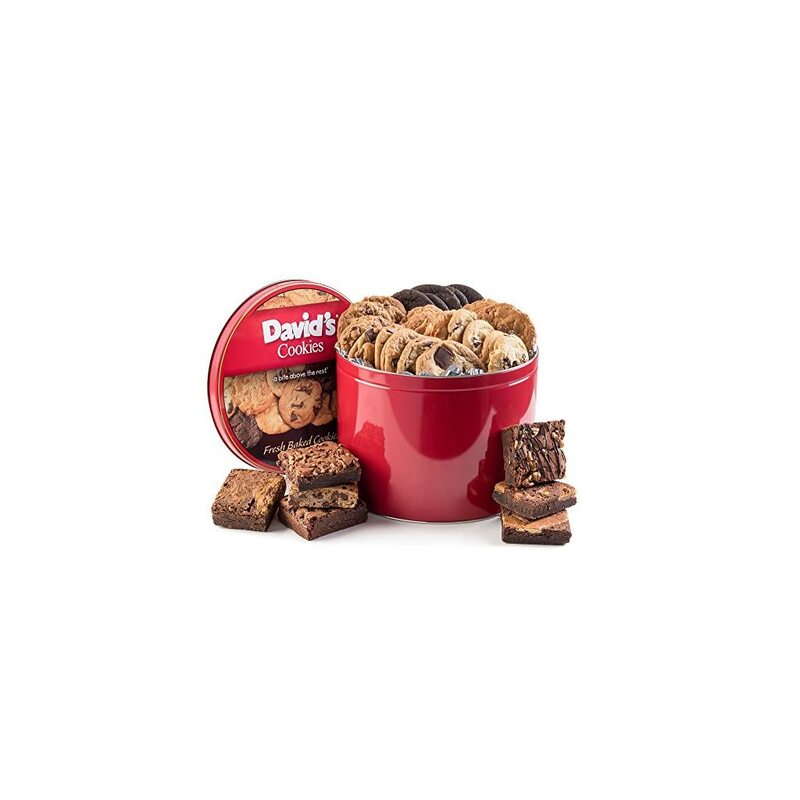 Make someone’s day with this decadent gourmet cookie & brownies ensemble packaged in a vibrant red tin. Fresh-baked & shipped immediately! Stuck on gift ideas? 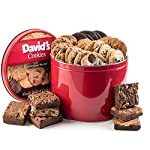 Surprise that special someone with the Fresh-Baked Cookies Brownie party pack Gift Tin from David’s Cookies! This tin contains 32 taste bud-tantalizing cookies & 8 individually wrapped assorted brownies and makes a great gift for anyone with a soft spot for sweets. Unlike other gift-boxed cookies that sit around for weeks before they’re bought, David’s Cookies are fresh-baked and shipped the very same day. You can taste the difference! Buy for friends, family, employees, associates, clients & more.